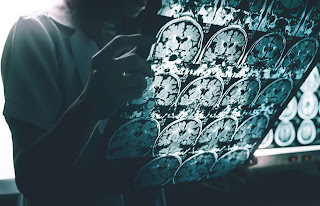 © Shutterstock Deskundigen beweren dat de ziekte van Alzheimer binnen enkele decennia epidemische vormen zal aannemen. Volgens de Wereldgezondheidsorganisatie (WHO) hebben wereldwijd 46 miljoen mensen dementie en naar verwachting zullen dat er in 2050 130 miljoen zijn. According to the Mayo Clinic, Alzheimer’s is a degenerative disease that destroys brain cells, called neurons. It was first described in 1906 by a German doctor named Alois Alzheimer. Alzheimer’s, an illness that mostly affects older people, continues to gain ground. The Alzheimer Society of Canada reports that over 700,000 Canadians are afflicted with the disease. This number is expected to double to 1.4 million by 2031. While a cure for this form of dementia has not yet been found, being aware of certain early signs is important. Several treatments, developed to mitigate these symptoms, are more likely to work if the disease is diagnosed early. If you are worried about your health, don’t wait to make an appointment with your doctor. Do you consistently forget where you put your keys? Perhaps you are simply forgetful by nature. On the other hand, if you frequently forget recent events or new information, the Alzheimer Society of Canada cautions that you may be at risk of developing Alzheimer’s. One of the most common early signs of Alzheimer’s disease is disorientation. Some sufferers forget, for example, what day it is. Others believe they are living in a different time period or have difficulty figuring out where they are. Such signs should not be taken lightly and require medical attention. Do you no longer know how to use your dishwasher? Has preparing a meal become a challenge? Have you forgotten how to brush your teeth? One of the most common early signs of Alzheimer’s is having difficulty performing habitual activities. If this sounds like you, make an appointment to see your doctor. Occasionally having a hard time finding the right word does not necessarily mean you have Alzheimer’s disease. However, if your problems with language (difficulty finishing sentences, forgetting simple words, calling things by the wrong name, etc.) make it difficult for your friends and family to understand you, you are at a higher risk of suffering from Alzheimer’s. Making a mistake from time to time when working on your budget is a common occurrence. We can’t all be math geniuses. But it may be time to worry when you can no longer figure out how to pay your bills or add simple sums. According to the Alzheimer’s Association, one of the early signs of Alzheimer’s is having difficulty working with numbers. Patients with mild Alzheimer's sometimes experience problems with coordination. They lose the ability to use certain everyday objects or have difficulty writing. That said, people who have always had poor handwriting are not necessarily at a higher risk of developing Alzheimer's. Some people have a hard time following a plan, but this doesn’t mean that they are at risk of developing Alzheimer’s disease. However, those likely to contract this neurodegenerative condition find it difficult to plan their daily activities. They may be unable to follow a recipe, for instance. People at risk of being diagnosed with Alzheimer’s tend to store regularly used items incorrectly. For example, they may put dirty dishes in the washing machine or soiled clothing in the dishwasher. They then feel lost when they cannot find improperly stored objects. Age-related vision loss and the need to wear glasses is absolutely normal. The Alzheimer’s Association warns that losing the ability to read, judge distances, and recognize colors, on the other hand, is not normal. Mood changes may be caused by all sorts of things. Most of the time, they are just temporary, and everything usually balances out in the end. But sometimes such changes may indicate a more serious underlying condition. People living with Alzheimer's disease often experience sudden changes in mood. They tend to feel sad then joyful or calm then anxious within a matter of seconds. Do your friends no longer recognize you? Are your loved ones noticing a change in your personality? You should visit a healthcare professional for an evaluation. In some cases, Alzheimer sufferers may undergo a change in personality. For example, an extremely introverted person may become extroverted or vice versa. While decreased motivation is not always a sign of Alzheimer's disease (causes may include fatigue or depression), it should not be taken lightly. If your lack of enthusiasm persists and begins to have a negative effect on your quality of life, talk to a doctor about it. The fact that your boss criticizes your lack of initiative doesn't mean you have Alzheimer's. Some people are simply more passive than others. However, if you've noticed that you have become less spontaneous or that you no longer show initiative in certain areas of your life, make an appointment with your healthcare provider. The National Institute on Aging says you may be experiencing an early sign of Alzheimer's. Fatigue often accompanies many health problems, like the flu, for example. In the case of Alzheimer's, feeling a lack of energy occurs in the first stages of the disease and lasts an average of two to four years. Whatever the cause, unexplained fatigue requires medical attention. Trouble sleeping is also a nightly struggle for many people living with Alzheimer's and is often accompanied by some of the other symptoms mentioned in this article. During the first years with the disease, some Alzheimer's sufferers have unusual thoughts. They may, for instance, misconstrue others' intentions. Some may, for example, think a nurse is going to harm them or that a doctor is going to “play around in their heads.” Note that other illnesses, such as schizophrenia, also present this symptom. Prior to the manifestation of more serious symptoms, certain people in the first stages of Alzheimer's sense an impending loss of control over their lives. Without a diagnosis, their feelings remain unexplained, causing enormous frustration. If you think that you may have Alzheimer's, or if you are worried about your health, consult a doctor.